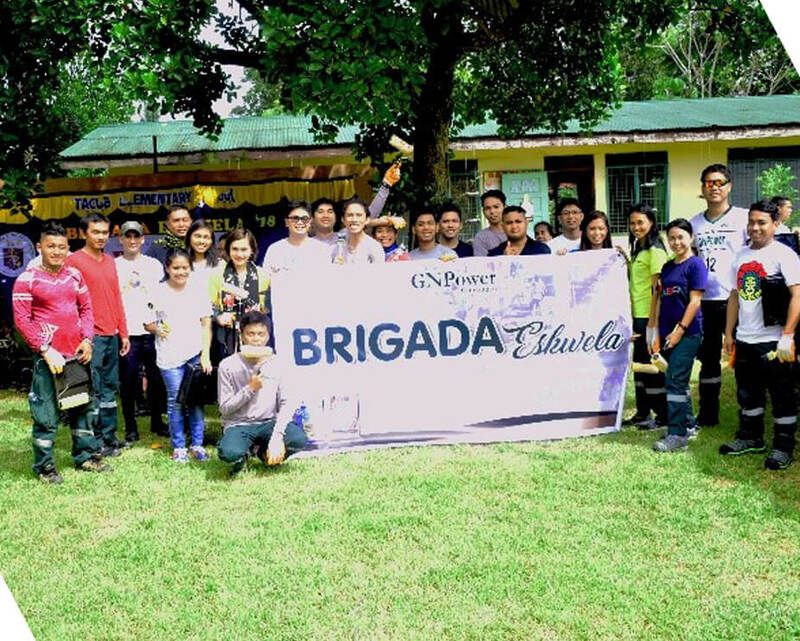 May 29-June 2, 2018 | Kauswagan, Lanao del Norte — About 140 volunteers from GN Power Kauswagan and its partners once again rolled-up their sleeves and, with cleaning and painting materials, headed to their partner schools in Kauswagan, Lanao del Norte to take part in this year’s Brigada Eskwela. The volunteers constructed six temporary classrooms in Brgy. Tacub and fixed the Multi- Purpose Building of Libertad Elementary School. Other volunteers also conducted repainting and carpentry works at Tingintingin Elementary School and Marcela T. Mabanta National High School. Painting materials were also donated to Munai Elementary School.